Please note that Google, Blogger, Adsense and other Google services may be using cookies and doing whatever they do. Please take notice that by using this blog you give your consent to those activities. How is China modernizing its navy? 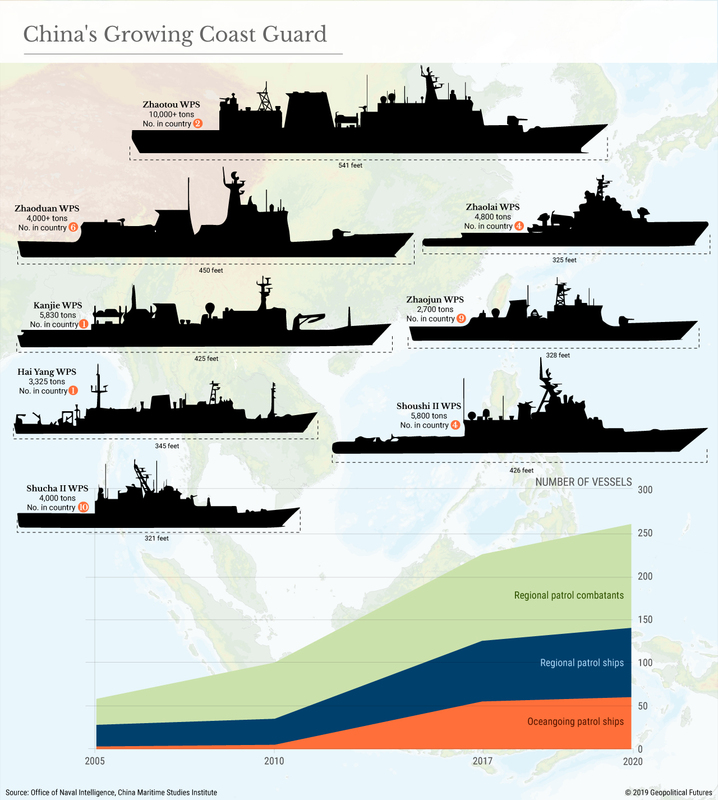 This article provides some perspective about China's navy modernization. New ships are being put to sea at an impressive rate. Between 2014 and 2018, China launched more submarines, warships, amphibious vessels, and auxiliaries than the number of ships currently serving in the individual navies of Germany, India, Spain, and the United Kingdom. Eighteen ships were commissioned by China in 2016 alone and at least another 14 were added in 2017.2 By comparison, the US Navy commissioned 5 ships in 2016 and 8 ships in 2017. Should China continue to commission ships at a similar rate, it could have 430 surface ships and 100 submarines within the next 15 years. According to the Department of Defense (DoD), a significant focus of the PLAN’s modernization is upgrading and “augmenting its littoral warfare capabilities, especially in the South China Sea and East China Sea.” In response to this need, China has ramped up production of Jiangdao-class (Type 056) corvettes. Since being first commissioned in 2013, more than 41 Type 056 corvettes had entered service by mid-2018. Further, as pointed out by GPF, the US Naval War College released a research paper worth looking at titled Surging Second Sea Force: China’s Maritime Law-Enforcement Forces, Capabilities, and Future in the Gray Zone and Beyond. As per the report, China has merged few of its departments that had its own patrolling capabilities into a Chinese Coast Guard. China has also used commercial fishing vessels to further its scouting and minor naval defense capacity. GPF shows this graphic about changes to Chinese Coast Guard. I remember there is a law that China flagged vessels are required to maintain capacity and design to aid and assist Chinese forces if required. It means these commercial vessels too may be deployed in naval conflict. 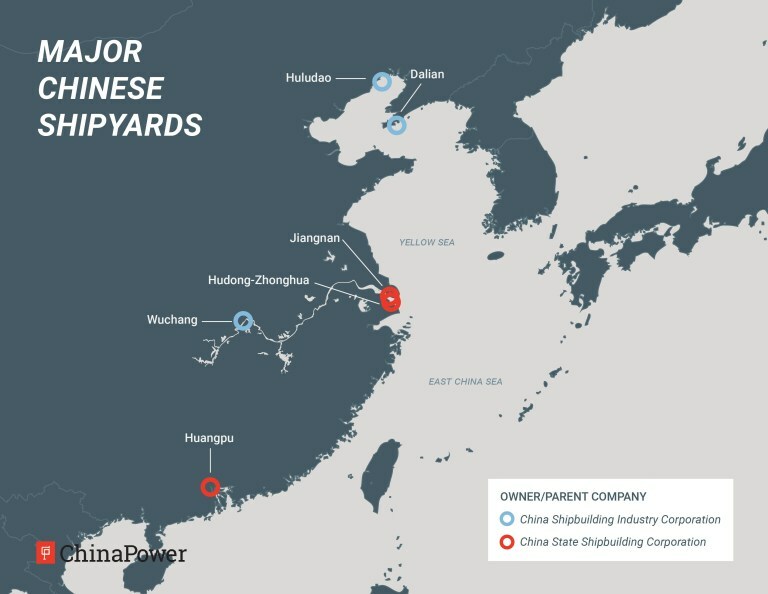 The scale of Chinese Navy - PLAN and China Coast Guard CCG both needs to be reassessed. Buy my books "Subverting Capitalism & Democracy" and "Understanding Firms"
To build the cities of the future, we must get out of our cars. It has fantastic pictures by Andrew Moore and Robert Kunzig has done great by summarising the developments walk-friendly cities. It refers to the emerald city planning guide by Calthorpe Associates. You can download it here. The cities of the future infographic is super awesome. The related articles also features one of my favourites: Want to visualize inequality? View cities from above. It features pictures by Johnny Miller. The Johnny Miller website is treasure trove of many such pictures. The development of Tokyo is documented quite well. The photos feature titled This man spends 8 hours every day commuting. He's not alone. is quite good. In my paper How cities Develop I have explored the commute as distance travelled in acceptable commute time. Those insights seem to be bearing out. Look at what they do NOT what they say! Socialism or Capitalism - it is one of the central discussion points these days. Socialist too form a broad spectrum - from Bernie Sanders to AOC to Elizabeth Warren. The capitalist are not yet vocal but many are simply dismissive of the left-leaning neo-politics. But are there really left-right differences? Not too much. And I say that as I look at what they do NOT what they say. The basic aim of government at the formation of Amercian revolution was twofold - Army formed protection force protecting citizens from outsiders AND legislation, police, courts system formed Law and Order for resolving disputes among citizens. Gradually government came to provide diverse services - education, healthcare, insurance, subsidies, legislation and regulation of various industries. Each of these activities has grown in scale over the past 100 years. When you want government to take up more responsibility then you will end up with a big government. First objective of taxes is to pay for the government. In some countries the salary expenditures of government account for more than 50% of the total expenditure of the government. This is not counting the maintenance cost and other regular expenses government has to incur just to exist. = MORE TAXES. Then all these people employed by the government have to do something. Even if they do nothing and just make presentations they consume a lot of money. That requires even more budgets = MORE TAXES. To make it worse usually they add to procedure and impose cost on society. They prevent innovation. They make it their responsibility to say NO. That stops entrepreneurs before they can create value. It means MORE HIDDEN TAXES. It all eventually leads to more taxes. People have started viewing government as a provider. Governments have encouraged that view. In effect whatever we want to get done, we want government to do it. We would like universal health care, you ask government. You want insurance for all - you ask government. When governments become bigger, governance becomes difficult. Hence laws turn into fine prints, every step of industry is managed by dozens of legal clauses. Compliance becomes a cost. We need to prune governments regularly. On one level that means improving productivity of government servants. But on other level we need to reinvent our systems to be designed for less government. But remember, no matter what they say, they will increase the size of government AND they will increase taxes AND they will default towards socialism. To prevent it we must actively reinvent the system to stay on the money. We shall discuss how in subsequent posts. Buy my books "Subverting Capitalism & Democracy" and "Understanding Firms". India needs to up its defense game. India is dealing with potential conflicts on two fronts. On both these fronts we have belligerent neighbors engaged in asymmetric multi-dimensional confrontation. Pakistan is more of warfare and China is more of competition. Yet, India must prepare for the potential conflict. And in this we need to improve our preparation substantially. Just cursory look at the Air force in the region will set us back. Pakistan Air Force generally known combat strength is about 500 aircraft. China is about 1600 aircraft. India is about 600. While the numbers are not exactly a way to differentiate - but considering the length of border and our defense requirement India should aim for 2000 combat plane air force. This means HAL cannot produce 16 aircraft per year. It has to produce 16 aircraft per month. Using private participation we need to improve this number quickly. Second, it appears we need full Rafale deal AND a F16 manufacturing line at the same time. IAF should also think of getting larger number of combat drones. These drones should be able to manage to fly with manned aircraft. This one manned aircraft (M) -coupled with around 10 drones (D) or more. Thus one mission unit with M-D combination. Then you can add mission units with xM-yD. These mission units will need to collaborate and coordinate with share intel. That will require a robust ICT interface. Airforce needs support from ground and space in the form of missiles and information. We should develop mechanism for coordinated launch of missiles controlled by the aircraft pilot herself. We can augment it with coordinator based ground support too. The future soldier will be an augmented information soldier. We need to up our game in terms of equipping the soldier with top-class equipment. AK-203 is a step in the right direction. But we need to lighten the soldier and get every soldier a robo-buddy. The buddies could be in multiple form - carrier mules, terrain mapping drones, communication bots and combat drones (sniper buddy). For this we need very intense development in robotics and again the ICT component will also play a role. We should experiment with augmenting the soldiers with exoskeletons and other techniques to improve battleground performance. Air-cover has been neglected part of the army. Apache helicopters in air support is essential. Future of navy is stealth platforms. As the US stealth ship Zumwalt goes for a maiden mission, China is developing aircraft carrier buster missiles. The Chinese missiles are hyper-sonic and thus almost impossible to intercept. In this context any above surface ship will find it difficult to beat the defenses. Hence reliance of submarine platforms should be increased. Sub-marine drone tech is actually quite interesting. It can be used on sink-and-forget wait mode. Thus we should be able to plant and move around many depth assets on wait and watch basis. Without humans on board this is (a) easier and (b) safer. It also improves the counter-strike and defense capability. These drones should be easy to manufacture in large numbers and low cost. These drones need not be large they can simply be attachments to ammunition that can help the ammunition to navigate and activate. Deep sea surveillance and AGAIN ICT is also going to be critical. So Navy must develop platforms but also develop choking -technologies for anti-ship systems. Space is important front for information wars. The satellites form critical part of the ICT infrastructure we need to deploy across the forces. Satellites should be able to perform twin functions - jamming enemy satellites and keeping ICT infrastructure working for our forces. The ability to quickly and rapidly restore downed satellites is very important. We should also explore possibility of smaller satellites that can last only for 5/6 months and then disintegrate. The smaller the satellite the costlier it is to destroy. Also because of size, you can build for redundancy. It is also possible to launch 100 satellites in one launch. These satellites are more relevant for theater coverage rather than country coverage. Most of modern warfare is quite destructive and hence preventive techniques are more important than remedial measures.Cyber war allows for information and processing delays in enemy retaliation and gives us additional time and information to respond better. Many times it is better for cyber initiatives to operate in bleeding mode than in crippling mode. Thus, it is better for cyber initiatives to delay the enemy communication rather than cripple it. Thus introducing delays and errors is better than crippling the infrastructure for short time. These cyber initiatives can also provide advanced information about enemy maneuvers. The aim is to destroy combat assets of the enemy. Since last month's attack on Indian Security forces in Pulwama by the Jaish-e-Mohammad terrorist group, I have been thinking about the changes required in the national policy. Today we get the news that China once again blocked the proposal to declare Masood Azhar, the leader of JeM as a terrorist. In light of these developments here are some thoughts about Indian policy. Note: Many sound quite conflicting but that is the reality. I miss Narasimha Rao. India MUST announce a proper strategic deal with Israel including multi-faceted cooperation including defense, technology, agriculture, business, banking etc. Joint Cyber warfare development cell. We should have joint training - allowing Israeli forces to train in various conditions and set up training with them in Israel too. We should aim for Agriculture and water management technology collaboration. We should explore policies that should allow Israel-India manufacturing companies to go global - compete across the world. We need to have 3 such companies be global brands like say ikea. India MUST announce a proper strategic defense deal with Russia as well. Russia is a long-term partner and we must improve the interaction with Russia. We must engage with Russians for heavy equipment - fighter aircraft, ships and submarine. We should further the missile development cooperation and aim for joint technology development in defense space. Economically, we have to help Russia ween itself from Chinese dependence. Russia should be able to stall and deny China without a huge economic cost. That India and US are not friends is first the fault of India and then the fault of US. Unfortunately, today there a little bit of mistrust still left. India MUST have strategic partnership with US and must join the Quad. We must have/develop defense ICT that is interoperable one with US. We need cyber defense cooperation with Quad. We need to step-up and take our responsibility in Indo-Pacific. We also need deeper collaboration and joint exercises between US and Indian defense forces. With Japan, India must set up ventures to develop infrastructure in the Indo-Pacific region. Japan has the capital and technology and India will need to give its man-power. In general, it is not well-understood that France has been a long-standing defense ally of India since independence. More than Britain which somehow finds more sympathy than France. India and France need to improve the cooperation on defense as well as non-defense sectors. We need to improve the status of France in the Indian economic and defense scheme. We have to play very pro-active role in this region. We can work on the food side trying to reduce the cost of food and other goods in this part of the world. Pakistan will continue to remain an irritant unless we take proactive effort to eliminate the terrorist setup. It can be eliminated by imposing very high economic costs on the Pakistani Army. To this end, India needs to be part of Afghanistan solution. If US cedes Afghanistan to Taliban or to Pakistani Army backed group, we will soon have trouble on Indian soil. India must UNDERSTAND and ACT on the fact that we are Hindu majority country AND we are the largest democracy of Muslim at once. India must use this to influence a lot of things in the Islamic sphere and give it a better direction. We must champion the reforms taken up by other middle eastern countries and overcome the regressive developments taking place. India should be able to collaborate with Africa much better than any other country. We should provide the institutional support and help African companies develop as suppliers to India. Japan and other countries will surely help us in this process. We have to showcase a credible alternative to Belt and Road but with good clean reformist credentials. copyright - Rahul Deodhar. Simple theme. Powered by Blogger.